(NaturalNews) Nearly one-fifth of young people have experienced "exploding head syndrome," a type of auditory hallucination previously thought to be restricted to older adults, according to a study conducted by researchers from Washington State University and published in the Journal of Sleep Research. "Exploding head syndrome" is the name given to the experience of being wakened from sleep by a loud and sudden noise, sometimes accompanied by an exploding sensation in the head. "Unfortunately for this minority of individuals, no well-articulated or empirically supported treatments are available, and very few clinicians or researchers assess for it," researcher Brian Sharpless said. Based on a few small studies, some researchers had previously speculated that the condition was rare and found mostly in adults over the age of 50. "I didn't believe the clinical lore that it would only occur in people in their 50s," Sharpless said. "That didn't make a lot of biological sense to me." In 2014, Sharpless reviewed the medical literature on the condition to write an article for the journal Sleep Medicine Reviews. This led him to conclude that the condition had been largely overlooked by scientists, and needed more research. For the new study, Sharpless and colleagues recruited 211 undergraduate students, each of whom was interviewed by a psychologist or a graduate student trained to recognize the symptoms of various sleep disorders. 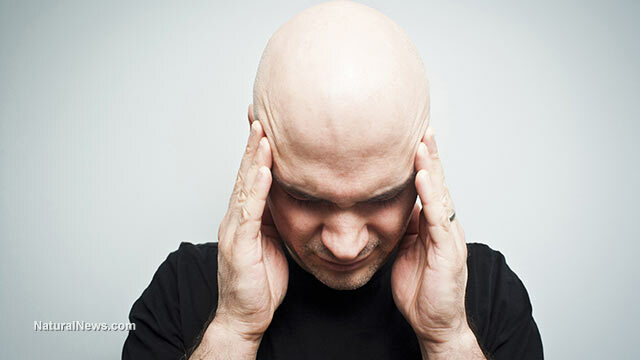 Eighteen percent of participants reported having experienced exploding head syndrome at least once. Of these, more than a third had also experienced isolated sleep paralysis, a condition characterized by an inability to move or speak while waking up or falling asleep, often accompanied by feelings of intense fear. Many of the participants reported that their exploding head syndrome was so frequent or severe that it had a significant effect on their lives. Indeed, because the condition is so poorly known, it often causes sufferers to believe they are going crazy. No reliable treatments for exploding head syndrome exist. "One of the drugs they gave for exploding head syndrome actually didn't make the noises go away," Sharpless said. "It just turned the volume down." But many people are at least relieved to get a diagnosis and learn that they aren't alone. Normal, or a sign of brain damage? Nobody knows what causes exploding head syndrome. Researchers suspect that it involves a failure of the mechanisms that the brain uses to shut down consciousness when falling asleep, Sharpless said: Instead of turning off, all the auditory neurons fire at once. Sharpless noted that the reticular formation of the brainstem is thought to be involved in both exploding head syndrome and isolated sleep paralysis. Even if this hypothesis is correct, however, it would not explain what causes the neurons to misfire in this way. Some psychologists and doctors have reported that the condition may be triggered by stress, anxiety or fatigue, or by more physical causes including damage to the brain. It is also a known side effect of acute withdrawal from some psychotropic drugs, including benzodiazapines and SSRI antidepressants. Of course, if exploding head syndrome can be caused by brain damage, then any number of modern substances or technologies could be potential reasons for its astonishing prevalence in young people. Heavy metal poisoning (such as by lead or mercury), for example, is known to produce neurological effects. Fluoride, added to many water sources nationwide, is a highly reactive neurotoxin. And the electromagnetic frequencies emitted by cell phones and WiFi are known to damage the brain and may interfere with brain signals.